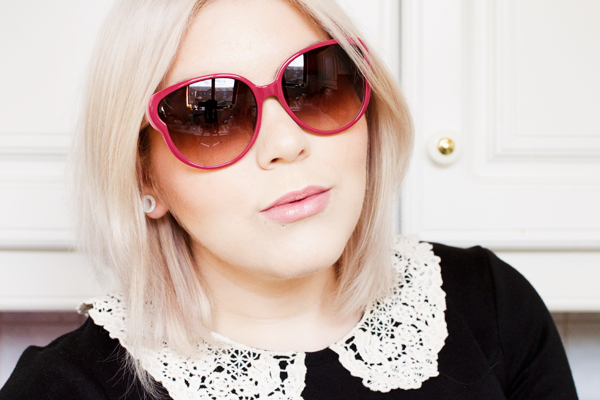 Over the Summer I became slightly obsessed with buying new pairs of sunglasses. Normally I'm pretty content with just wearing my trusty old Ray-Ban Wayfarers & Clubmasters. However this year brands kept coming out with so many cool new styles and... let's just say I got a bit carried away! One brand in particular fuelled this new found desire for stylish frames & that was Quay Australia. Their sunglasses were all over Instagram & as a result getting hold of a pair was near impossible. I had to order some of mine directly from the Quay website but delivery was pretty fast considering they came all the way from Australia. The initial rush seems to have died down a bit now & it's much easier to find them on ASOS or Topshop. 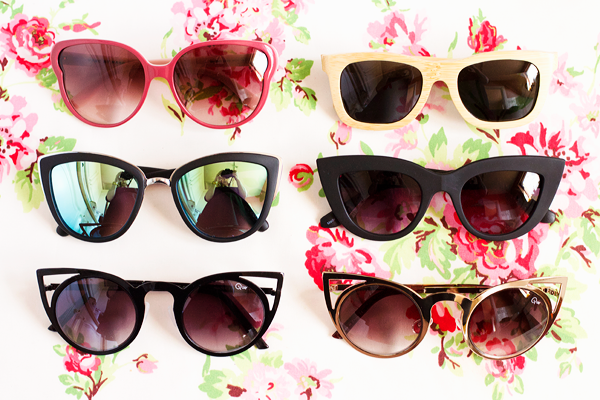 The first pair I bought were the Kitti sunglasses. 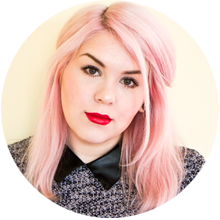 I love their classic cat eye design which is very flattering & suits many face shapes. They equally remind me of the sunglasses that Audrey Hepburn wore in Breakfast At Tiffany's & a superhero mask. However they have one major flaw. The frames are made from a matte rubbery material, similar to what NARS use on their product packaging. Whenever I wear these I end up with black marks all over my face. The faux-monobrow they give me certainly isn't a good look! I still think they look really cool though so whenever I wear them I just have to make sure I've packed some extra concealer & I'm good to go! The second pair I purchased were these black Invader sunglasses. 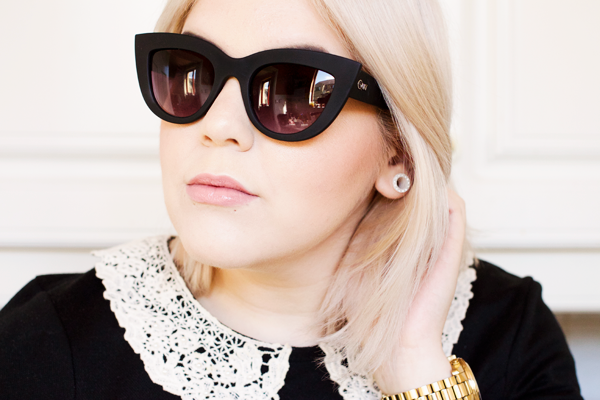 They have a similar cat eye style to the Kitti but with round lenses & cut-out details. I've probably worn these ones the most out of all the sunglasses I've gotten recently. They're sure to turn a few heads & I always get loads of compliments whenever I wear them. As I love the Invader style so much I also bought them in gold! 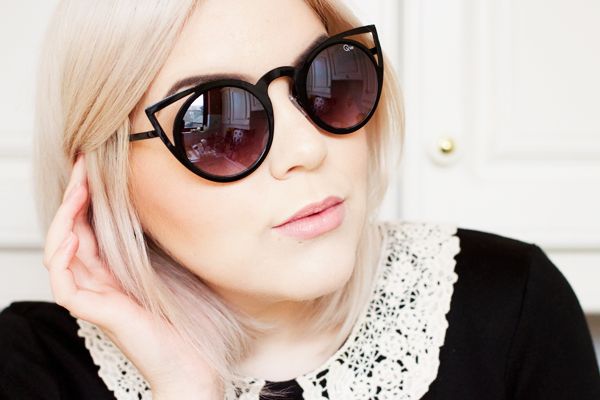 I have so many pairs of black sunnies so I wanted something a bit different. I'm obsessed with gold accessories & the futuristic design of these sunglasses makes them a very bold fashion choice. I think they look utterly incredible & they're such a fun way to liven up a simple outfit. The final pair that I bought from Quay Australia were the infamous My Girl sunglasses. They are undoubtedly Quay's most popular style & it was a nightmare trying to get my hands on them. Shops just couldn't keep them in stock! I finally tracked them down on the Topshop website & ordered them immediately. I'm so glad I managed to buy some as those blue mirror lenses are simply mesmerising! They're absolutely huge but the fit is perfect. They feel much sturdier than the other frames & are really well made. Again the shape is universally flattering & they look stunning! Sundried are a new clothing & accessories brand who will be officially launching next year. Inspired & tested by real athletes, their apparel is made using responsibly sourced materials with low environmental impact & respect for people in the supply chain. 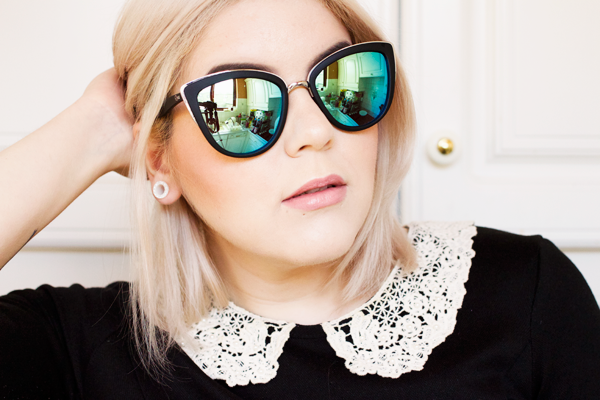 I'm really excited to be able to show you something from their sunglasses collection! 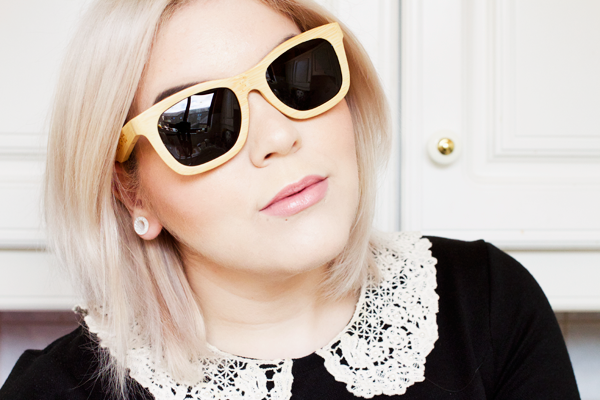 I've been loving wooden accessories lately & their Bamboo sunglasses are no exception. They come in a classic wayfarer style but the frames are made from real bamboo. Not only do they look awesome but they feel super light & are very comfortable to wear. I'm looking forward to seeing what other fashion innovations Sundried have up their sleeves! 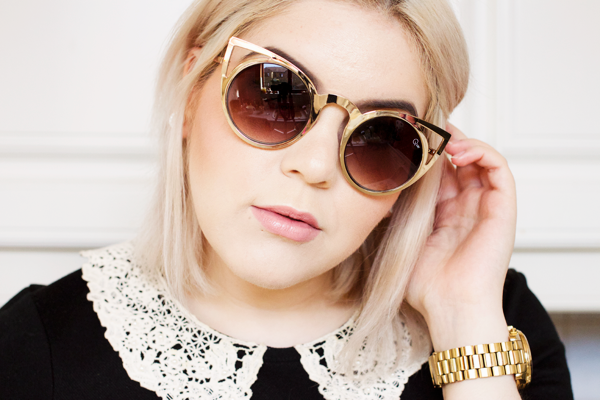 Sunglasses Shop kindly sent me these adorable Marc By Marc Jacobs sunglasses. I don't own any other pink sunglasses & I just thought they looked really cute. I love their unique butterfly shape! They're very oversized which makes them a great pair to hide behind when you're feeling a bit worse for wear! 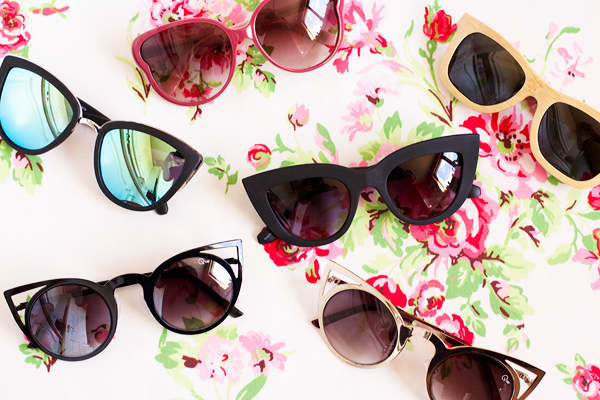 Do you have a favourite pair of sunglasses? These look like some pretty sunnies and I've been loving them so much lately and I just love the matte cat eye pair. Great collection!! Love the pair with the bluey-silver reflection! I LOVE all of these! The blue mirror ones are so dreamy!